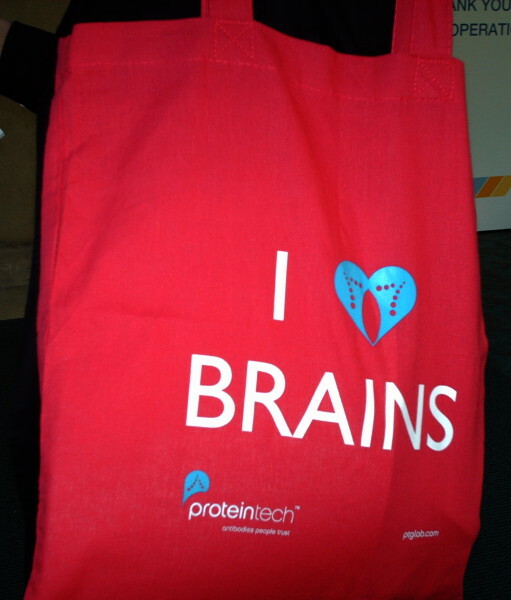 Vivien Marx reports on the Society for Neuroscience meeting in San Diego and the big brain projects in the EU and US. 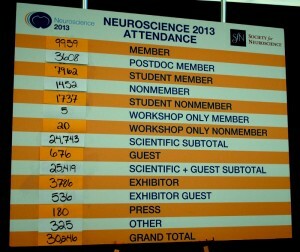 The Society for Neuroscience annual meeting in San Diego clocked record attendance. Despite dismay about the recent 16-day US government shutdown, the impact of automatic budget cuts–the sequester–taking effect in light of federal budget disagreements in Washington, and the general economic malaise, there is palpable excitement. 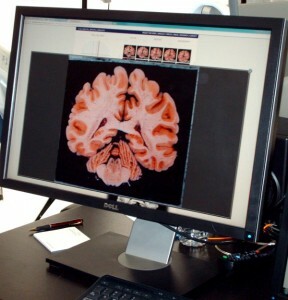 New large-scale initiatives are getting underway around the world to develop technologies to empower neuroscientists. 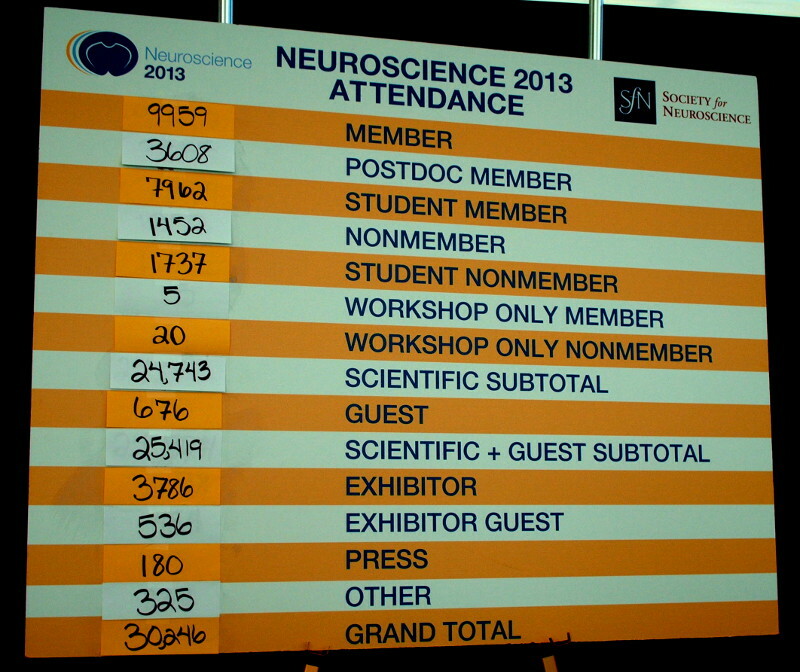 This year’s Society for Neuroscience (SfN) meeting in San Diego that has just ended, clocked a record attendance of over 30,000 attendees, noted society president Larry Swanson to attendees with a broad smile in one of his conference announcements. “It is an inspirational time to be a neuroscientist,” he said, with the field drawing attention, for example, across the European Union and in the White House. In a town hall meeting for the Brain Research through Advancing Innovative Neurotechnologies (BRAIN) Initiative, there was no lack of critical comments and suggestions of aspects to include in BRAIN. But smiles stayed plentiful as funders explained their plans. The fact that the US president chose neuroscience as his multi-year, signature project is something “we should all be pretty excited about,” says Tom Insel, director of the National Institutes of Mental Health. In addition to projects in the US, such as (BRAIN) Initiative and the EU’s Human Brain Project, large neuroscience projects are just emerging in Australia, China, Japan and Israel. “This is beginning to feel like a global movement,” he says. And projects are unfurling in the private sector, too. The new tools, says Story Landis, director of the National Institute of Neurological Disorders and Stroke, will help neuroscientists do their work “bigger, better, faster” and expand the research strides made in recent years. Much remains to be done. Compared to what is known about the kidney or heart, very little is known about the brain, says Insel. Adding to the neurological diseases, he noted, are the “invisible wounds of war” such as traumatic brain injury and post-traumatic stress disorder. Tools to help diagnose these illnesses are urgently needed. Besides attending SfN’s hundreds of sessions and 17,000 posters, scientists had the chance to get up close and personal with representatives from the funding agencies and to hear about and discuss the new opportunities. Here is a snapshot of some of the announcements. As Daniel Pasini from the European Commission’s programme on future and emerging technologies explained, the 10-year European Human Brain Project has invited the scientific community to present “grand ideas” for a massive effort to computationally reconstruct the human brain using supercomputers. The model will help to study brain-related diseases, which are a major health challenge, an economic and social burden, and to pool data and expertise more effectively and translate results for treatments. The project, which took three years of planning, involves over 250 scientists across Europe in 135 research groups in 22 countries, including groups in the US and Asia. The program began officially in October and has a budget of $1.6 billion. Half of the money will come from the EU the other will come from national funding sources, Pasini says. The first phase is slated to last 30 months and is funded with $100 million. Six platforms are to be developed including, for example, the neuroinformatic platform as a single point of access to all neuroscience and clinical data along with software tools. The other platforms involve brain simulation, high performance computing, medical informatics, neuromorphic projects and neurorobotics. The idea is to keep improving the model as new data become available. All tools and data are set to be made available to the global scientific community. The plan is to create the ‘CERN for brain research.’ Not unlike a telescope facility or a super-collider, scientists will be able to perform experiments and use this platform to help continue to expand the model. The Brain Observatory at UC San Diego is running ‘Deconstructing Henry’ an examination of the Brain of patient H.M.
“Yes, we build guns and bombs, that is true,” says Colonel Geoffrey Ling of DARPA more generally. He is a neurologist who also served in Afghanistan and Iraq and currently deputy director of DARPA’s division responsible for defense sciences, which does not build bombs and guns. He and many other neuroscientists want to cure diseases ranging from Alzheimer’s to schizophrenia to post traumatic stress disorder to traumatic brain injury. DARPA is indeed “zeroed in” on the problems facing soldiers returning from the battlefield. Speaking directly to fellow panelists from NIH, he says: “I wish they would double the budget yet again for you guys,” which was greeted by SfN attendees with vigorous applause. Two DARPA solicitations for proposals are now open, offering “real money,” as Ling says, collecting projects that relate to memory dysfunction and psychiatric disorders. More solicitations are “in the works,” he says. “It’s not for us to decide what you’re going to build,” he says, highlighting the importance of imagination and taking a diversity of approaches. The funding model at DARPA is shaped by use cases to assure that what is developed serves his constituency, the servicemen and women. Multidisciplinary research, for example, is not achieved with the collaboration of a cellular neuroscientist, a neurophysiologist, and a neurologist. Rather, for DARPA interdisciplinary efforts can be a team comprised of a mathematician, a physicist and “a crazy guy in his backyard putting together some Rube Goldberg thing,” says Ling. Unlike NIH, DARPA issues no grants but rather contracts, which are “deliverables-driven,” and may seem more rigid that NIH. But he sees strength in the synergy of the different funding approaches by NSF, NIH and DARPA. DARPA is committed to this project over the next decade, says Ling. Data-sharing provisions are built into each contract, which DARPA takes “extremely seriously,” and breach of contracts are pursued. The DARPA solicitations issued are just the beginning, he says. This project seeks proposals to develop devices, perform model organism based research, or enable modeling of human neural systems, which are geared to help treat patients with neuropsychiatric and neurologic disease. This project seeks proposals in the area of analyzing and decoding neuronal signals which can be used to help patients recover memory function after injury. Companies in the neuroscience field may benefit from funding in the emerging large-scale projects. Here a scientst at SfN wears one company’s advertisement. The first report of the BRAIN initiative’s working group, says Landis, offers a guide for how the project could begin to move forward in its first year. The working group, is the advisory committee to the NIH director is chaired by Rockefeller University’s Cornelia Bargmann and Stanford University’s Bill Newsome. Landis says excitement is high in the Obama administration and across NIH. The hope is that this enthusiasm would be reflected in the budget allocations. The NIH first year funding is “a down payment,” she says. These monies were previously slated for initiatives of the individual institutes’ choice. As Landis explains, these four agencies agreed that the BRAIN Initiative was the one they selected for fund allocation. She says she and her colleagues are “optimistic” that the excitement, opportunities and promise of the BRAIN initiative will power the budgets of the future. Throughout sessions at SfN, she, Insel and others were quick to squelch fears that BRAIN would draw funding away from investigator-driven grants. The first NIH Requests for Applications (RFAs) are currently begin hashed out with cross-communication happening across NIH, NSF and DARPA, says Insel. All BRAIN Initiative projects will be peer-reviewed and perhaps unlike the more classic grants, they will have milestones and there will be expectations of data-sharing. “That’s going to be baked into everything we do in this project,” says Insel. Evaluations will accompany the projects after they are funded. A number of awards are likely to be cooperative agreements, which are part way between a contract with deliverables and R01s, says Landis. These agreements are accompanied by milestones. If researchers do not share data and that provision is in their notice of grant award “there can be consequences,” she says. Update: In mid-December NIH announced six funding opportunities. Approximately $44 million will finance six new funding opportunities. 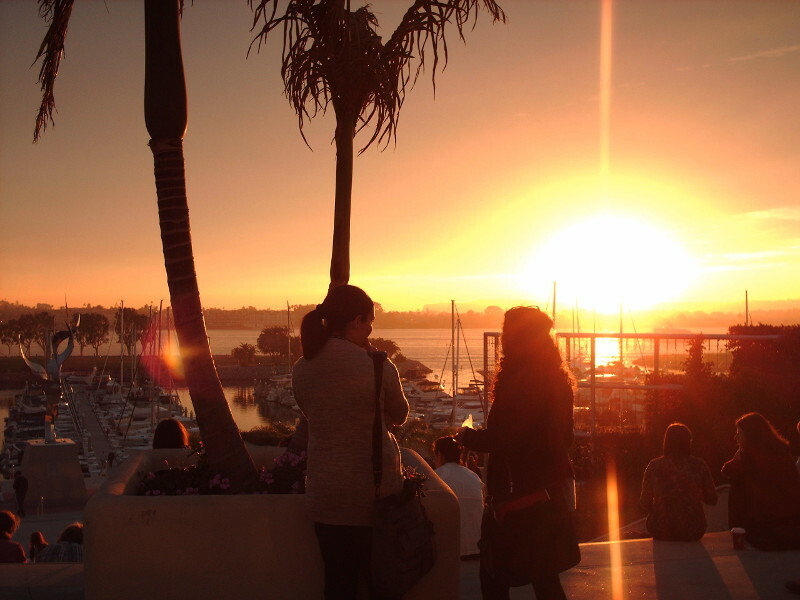 Two of the 30,000 attending scientists take a break outside the SfN conference halls. Evidence of NSF’s engagement with neuroscience in general can be seen in the recent $25 million grant to fund the Center for Brains, Mind and Machines at the Massachusetts Institute of Technology. The intent is to blend computer science, math, robotics, neuroscience and cognitive science. The BRAIN Initiative will require intense collaboration across disciplines and scales, she says. Neuroscience has been more devoted to small science, she says, the work of individual principal investigators and small lab groups. Marrett agrees with Alan Leshner, the executive publisher of Science, that neuroscience’s strides will benefit from a change in the culture toward larger-scale, interdisciplinary efforts. At the same time, this shift will occur without prescriptions that all work needs to be on “the huge scale” of a particle accelerator, for example. Indeed neuroscientists will need to integrate findings across the scales of their research and link physiology, biophysical and genetic data with cognitive and behavioral findings (see Leshner Editorial in Science). The projects will require data management plans of the grantees, she says, to explain how they will handle data-sharing, which is to the benefit of the entire enterprise.